Richmond Fellowship: Consultancy / training and film production. We have been working with leading mental health organisation, Richmond Fellowship to audit, review, support and develop their emerging digital media strategy, including piloting the use of filmmaking with clients to tell their stories. 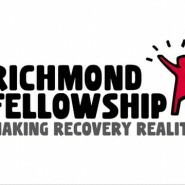 Richmond Fellowship (RF) was founded in 1959 and have pioneered and practiced a core belief in social inclusion and recovery. The journey back to mental wellbeing is different for each person, and while there is no single definition of recovery, the achievement of the best possible quality of life for each individual lies at the heart of the philosophy of Richmond Fellowship.